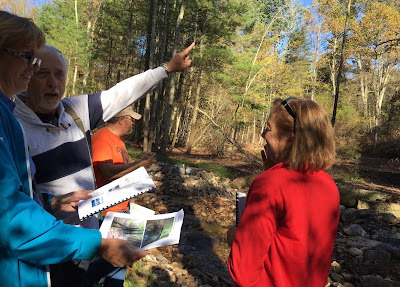 Department of Conservation and Natural Resources Secretary Cindy Adams Dunn Friday joined partners in a visit to Camp Michaux in the Michaux State Forest in Cumberland County to view a project to restore Tom’s Run to its historic location. Dunn noted that Tom’s Run is now reconnected to its historic floodplain, which lessens the impacts of heavy storm events. Along Tom’s Run, there was a diversion channel on the waterway which took the stream flow and diverted it into an impoundment created by a dam previously used as a swimming hole. Dunn noted that the project is included in the Wolf Administration’s clean water initiative. The project cost amounted to around $97,000 and was supported by a DEP Growing Greener grant, The Nature Conservancy-PA, and DCNR. The climate change adaptation strategy for DCNR lands will be completed by the beginning of next year. DCNR has a goal of removing five dams on its lands by 2020 as part of its water strategic initiative. Last year, Long Run dam in Bald Eagle State Forest, and Olyphant dam #1 in Pinchot State Forest were removed. Tom’s Run and Long Run are both in the Chesapeake Bay watershed. Camp Michaux has an unusual history including as a church camp; working farm; as a Civilian Conservation Corps camp during the Great Depression; and as a secret prisoner of war interrogation camp during World War II. Learn more in the Camp Michaux Self-Guided Walking Tour booklet from the Cumberland County Historical Society. Pennsylvania’s 2.2 million acres of well-managed state forest lands provide critical habitat for brook trout and thousands of stream miles. Michaux State Forest is more than 85,000 acres in the South Mountain landscape named for French botanist Andre Michaux. 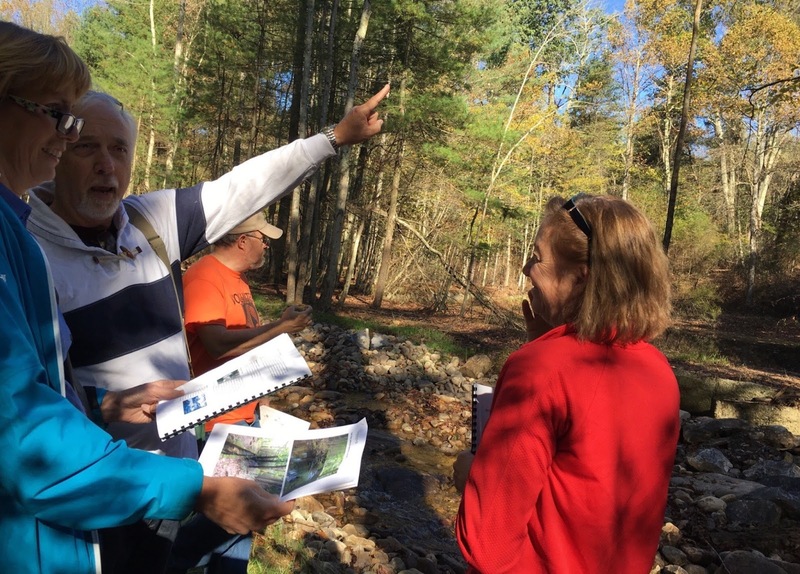 DCNR also has a Brook Trout Conservation Plan for state forest lands. For more information on state parks and forests and recreation in Pennsylvania, visit DCNR’s website, Click Here to sign up for the Resource newsletter, Visit the Good Natured DCNR Blog, Click Here for upcoming events, Click Here to hook up with DCNR on other social media-- Facebook, Twitter, YouTube and Flickr.